Life has a habit of speeding past before your eyes. One minute you're a young 'un enjoying the Summer holidays, a six-week respite from school – the next? You have your own kids to entertain during the July and August months. Speaking as a chap who's due to become a first-time father later this year, this passing of time will undoubtedly again whizz past with all the breezy nonchalance of Speedy Gonzales. From sleepless nights and nappy changing to keeping Bensalhia Junior amused during the holidays – the change will undoubtedly appear to occur overnight. One destination I do have my eye set on, is naturally, Italy. If you're looking for somewhere to take the kids, then you won't go wrong with Italy. The brilliant thing about Italy is that it offers children a wealth of enjoyment with more than a dash of unique, distinctive flavour. Sights, history, food... Italy has it all for the youngsters in the holiday season, and here are some reasons why. Back in the day, history was something to be feared rather than enjoyed. The average history lesson at school would involve a dusty old book, a never-ending monologue from a strict teacher and copious amounts of homework. A trip to Italy can, however, provide a little extra-curricular history homework of the fun kind. Italy is justly proud of its rich heritage, and to that end, celebrates its history in a number of ways. Re-enactments, parades, shows... all of these events bring Italian history to life, and it's a great way to teach kids not just about history, but about Italian culture and tradition. Whether it's the procession of the statue of the Madonna Fiumarola of Rome's Festa de Noantri or the fireworks and decorative boats to celebrate Venice's Festa del Redentore – or the medieval trip back in time of Ascoli Piceno's La Quintana or the myriad of events for Ferragosto, the young ones will be entertained, enchanted and also educated by the many events taking place this Summer alone. And if you choose to come to Italy for a holiday in other seasons of the year, that's just a very small sample of the many historical events and celebrations that take place! One of the great ways to teach children about history is to take them to a museum. I think that one of the most exciting aspects of a museum from a kid's point of view is its sheer scale. Large rooms with seemingly never-ending walls display magnificent exhibits. On that score, museums are the perfect way to spend a day when on holiday in Italy. If your young one has an interest in art, then any of the major museums will be worth the trip. Florence's Galleria Degli Uffizi, the galleries of Palazzo Pitti or the art at Rome's Vatican Museums are good ports of call for any budding artists. Sforza Castle's impressive collection of musical instruments will be of note to any young musicians in the family. 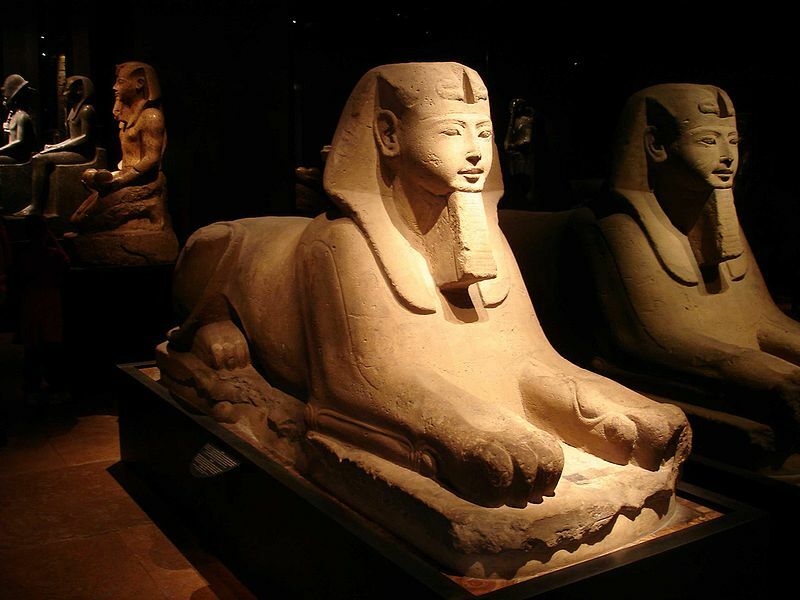 And for a general guide to the wonders of Egyptology or archaeology, a trip to the respective destinations of Turin's Museo Egizio and Naples' Museo Archeologico Nazionale are in order. Think back to the days of your own school holidays. The last thing you would want was to be stuck indoors (alas, if you lived in Britain, this would be inevitable, given that July and August always bring rain). Excitement, spectacle, wonder – that's what an ideal holiday would contain at a young age – and Italy can provide these in abundance. 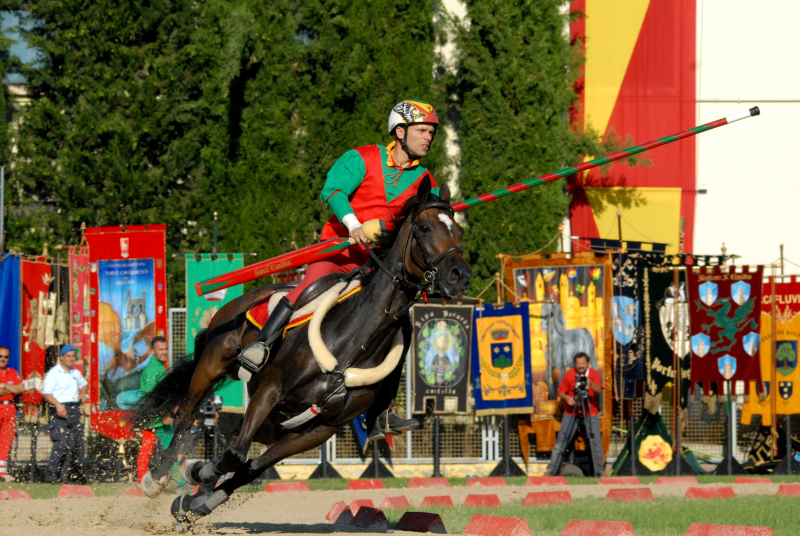 Many of the monthly events conjure up a unique carnival atmosphere – in the Summer months, we get the festivities of Palio di Siena, Disfida Degli Arcieri Di Terra e Di Corte and Festa de Noantri to name but three. There is something at these festivals for every child – jugglers, acrobats, musical performances from singers to bands, firework displays, and of course, food treats! Italian events offer up so many wonders for kids, and in addition, the atmospheric carnival atmosphere will stick in the mind forever. It's worth also thinking about booking a half term holiday to Italy in February when carnival season is in full swing. If it's a traditional beach holiday to entertain the troops, then you've come to the right place. Italy prides itself on its beautiful beaches with its rich sand and cool blue sea – so pack those buckets, spades and snorkels! Tropea is a good location with its excellent sandy beach as well as a choice of shops and ice cream emporium to keep the kids extra happy! 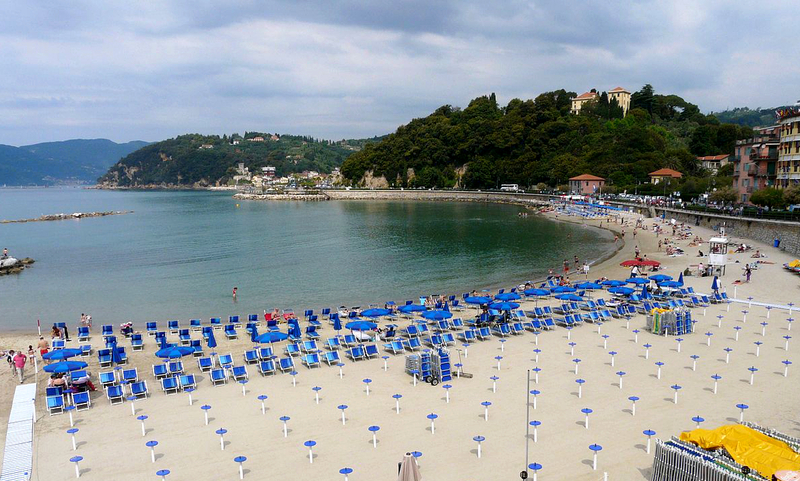 Lerici, part of La Spezia, is also another good destination and boasts good, child-friendly beaches as well as a selection of local attractions and games. Lampedusa's Rabbit Beach has been voted the best beach in the world by TripAdvisor, and with its soft sand and beautiful sea, makes for an ideal destination. This location also includes a bit of extra history for the youngsters, with remains of prehistoric huts and Roman ruins. A great selling point of a trip to Italy for children – and in, particular, Venice – is the world of water. It's a great new experience for youngsters who can sample the sights of Venice from the water. A tour along the Grand Canal will offer children the chance to take a look at the amazing Venetian architecture. 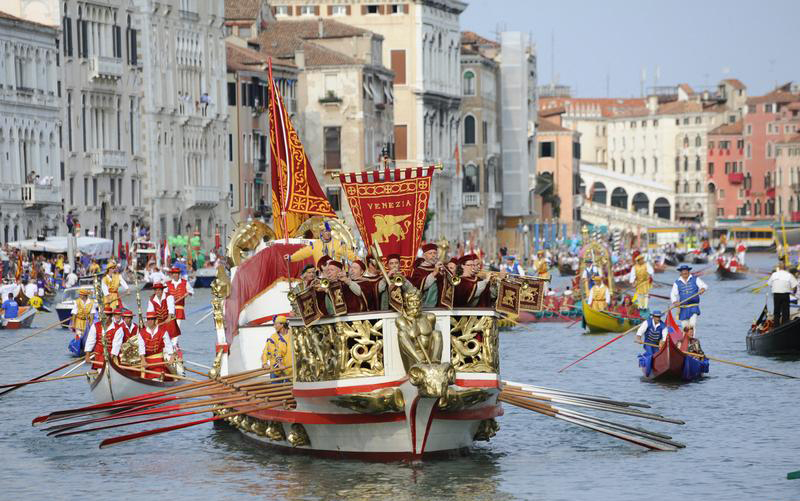 The many different types of boats will also keep the young ones enthralled – if you're booking a last minute holiday to Venice in September, then the Historical Regatta will provide plenty of colour, spectacle and a memorable history lesson never to be forgotten. Ah, the days of the ice cream van. Kids' ears immediately sense the jingle of the approaching van, even from a distance of a mile away it seems. And no sooner has the van pulled into the cul-de-sac, the hapless ice cream man is trying to manage dozens of orders from hungry children, jumping up and down at the window. But when it comes to the real thing, Italy's the obvious choice, and children are in for a real treat. The finest Italian ice creams are made with love and care, and there will be all kinds of flavours to suit all tastes. Young ice cream fans will find the equivalent of many an ice cream palace in Italy. Cremeria Funivia is a good example. The Bologna-based ice cream business is now based in two locations – one near Zaragoza, the other at Piazza Cavour. There is a fine selection of Gelato, sorbets and ice cream cakes to be enjoyed here. Also in Bologna is Gelateria Gianni which prides itself on selecting the finest home-made ingredients, with additional hazelnuts, almonds and nuts augmenting the fine flavours which include coffee, lemon and coconut. 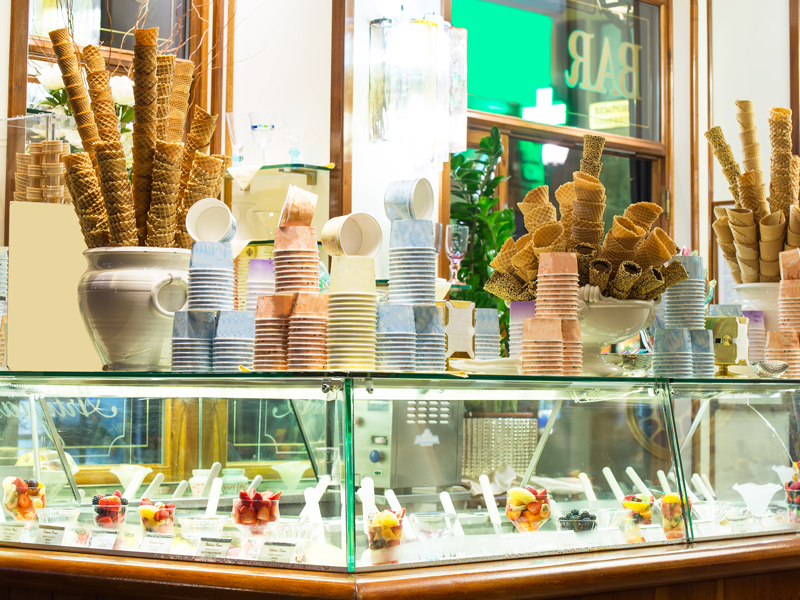 Florence's Gelateria Santa Trinita can boast an impressive 38 different flavours of ice cream. Take your pick from the likes of peanut and chocolate, yoghurt with strawberries and honey or dark chocolate sesame. It's not just ice cream that kids enjoy as a special treat. Take a child into the local bakery and it's the cake equivalent of Willy Wonka's Chocolate Factory. So a family holiday in Italy should include a detour to the local bakery. Like the ice cream parlours, Italian bakeries pride themselves on using the best, home-made ingredients to perfection, many using family recipes to add that extra unique twist. For great choux buns, Rome's Pasticceria Trastevere is a must stop. Filled with tasty zabaglione cream, these delicious choux treats will guarantee smiling faces – in addition to other great sweets such as cannoli and fresh strawberry tarts. Sicily's Mizzica makes its goods with real heart, using authentic Sicilian traditions. Among its offerings are marzipan fruits, pistachio cakes and a slew of great breakfast marvels, which will wake your sleepyheads up with a smile – among the breakfast goodies are croissants, turnovers and baked doughnuts. I Dolci di Nonna Vincenza is also worth a look-in, with its beautiful 19th century style. It's a nice way for young 'uns to take a step back in time while sampling some superb cakes and tortes.